From the opening credits, something seems off about Under the Sun, and the “truth” it projects. “My father says that Korea is the most beautiful country in the eastern part of the globe,” asserts eight-year-old Lee Zin-mi, staring directly into the camera. 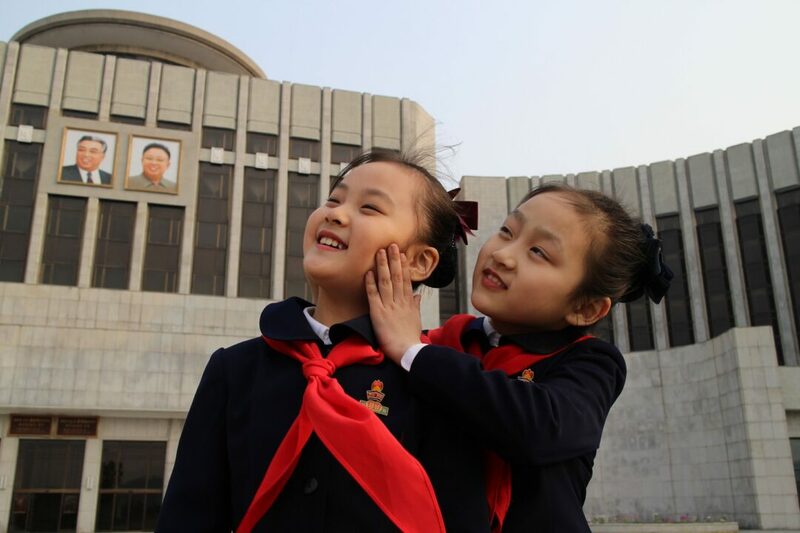 Director Vitali Mansky—given a script by the North Korean government—was tasked with shooting a documentary about this young girl and her average life with her family who live in the greatest country on earth, North Korea. They prepare for their child to join the Children’s Union, where she will pledge her unwavering allegiance to her country’s leader, Kim Jong Un. In essence, the movie operates as a propaganda film, with all the “realities” shown being staged in advance and certain facts being fudged. When the family has dinner, Mansky shows the multiple attempts needed to make sure everything goes perfectly, with operatives from the government on set to point out what’s wrong. Zin-mi’s father is a print journalist but is given the job of engineer at a garment factory, a more honorable profession to show on screen. Facts are changed or ignored because nothing like that matters to the Korean government in how they wish to present themselves. Under the Sun’s obvious phoniness is chilling: Seeing a classroom full of children singing in unison about their incredible leader effectively gets Mansky’s message across. Witnessing these people change their lives at the whim of their government makes for fascinating material, but only for so long. After a while, the creepiness of the populations’ lives becomes routine. There’s only so many times you can show youngsters being brainwashed in desensitizing speeches from authoritarian figures before it becomes purely monotonous. Every time the camera cuts to a portrait of Kim, there’s a sense that the film is starting to stretch itself. There’s so much material to mine here, yet Mansky continues to try and get shock value from seeing the madman’s face. It’s a shame how boring Under the Sun becomes, considering the lengths the filmmakers must have had to go to just to get clearance for the project in the first place. Life in Pyongyang must be incredibly dull, with so many human rights having been stripped from its citizens. Unfortunately, Under the Sun succeeds a bit too well in this respect, numbing its audience to the horrors of a restricted society.